Personally, I'm not crazy about art in general (please don't hate me). I don't believe in throwing up pictures just to fill a blank space. Anything I put on my walls has to mean something to me. I discovered the joy of vintage ads when I was browsing e-bay one day. 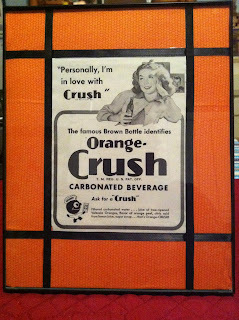 And I came across an Orange Crush ad that I just adored! 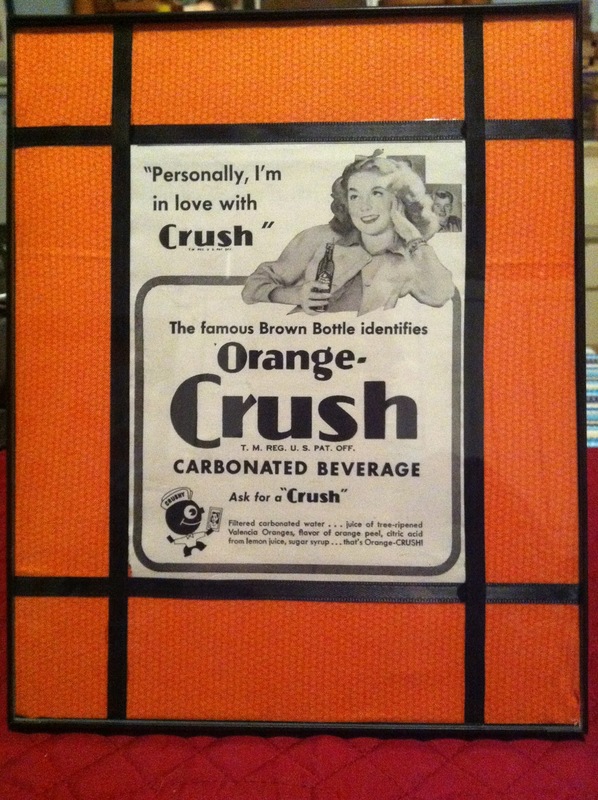 Orange Crush was the only pop I would drink growing up, so while it's not something I'm emotionally tied to, it does provide good memories of when I was growing up. So, I ordered the ad, and rather than just slapping it into a frame, I decided to dress it up a little. I loved how this turned out! I have a couple more vintage ads waiting for their turn. Have any of you decorated with vintage ads?